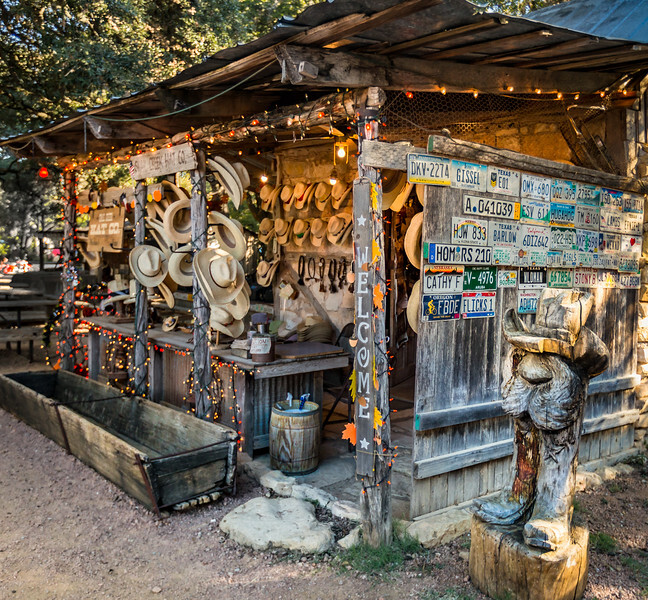 Walking around little Luckenbach, Texas is something you take your time doing. It’s not that big. So soak it in and look for the little hidden gems along the way. 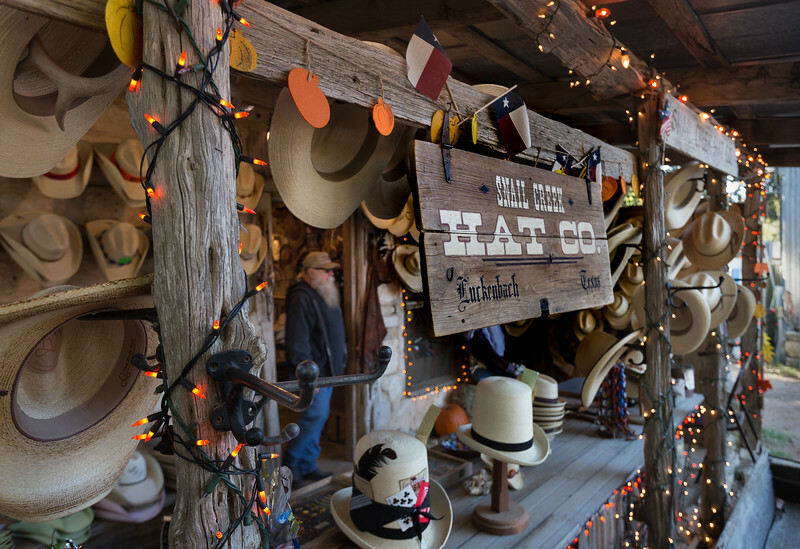 One of those gems is the Snail Creek Hat Company, located back behind the general store. If you want to be a true Texan, this is the place to get your straw headwear. They can shape it to any size, shape or style. They’re nice folks and are guaranteed to bring a smile to your face as you make this most important decision. You’ll leave a little taller, with a bit more hattitude as you show the world you’re a true Texan. It’s a state of mind, after all. Posted in Texas, Travel Misc. Wow! I would love going into this store and getting some “hattitude”! (Love the new word!) Great pictures and a new place to shop! I bought a Palm Leaf western hat. Told the lady what I wanted and she shaped it for me right on the spot ! Friendly and smiling all the while. Loved the place, love my new hat ! !